Barbers in 48 states with users in Puerto Rico & Canada. In the era of Yelp, Uber, and OpenTable the haircut experience can still be painful at best. Barbershops today have been slow to adopt technologies to improve their business. 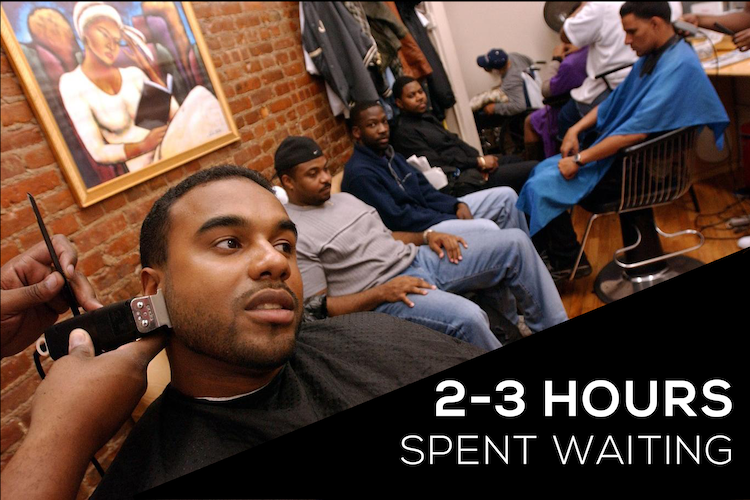 For clients, randomly walking into your local barbershop can leave you waiting up to 3 hours to see your barber. Time spent waiting in your local shop can completely ruin your mood or interfere with your plans. In addition, finding a barber who you trust and feel comfortable with can be a daunting task. Millions of people moving to new cities or going off to college are faced with this problem every year. For barbers, managing appointments by hand can lead to thousands in revenue lost every year. 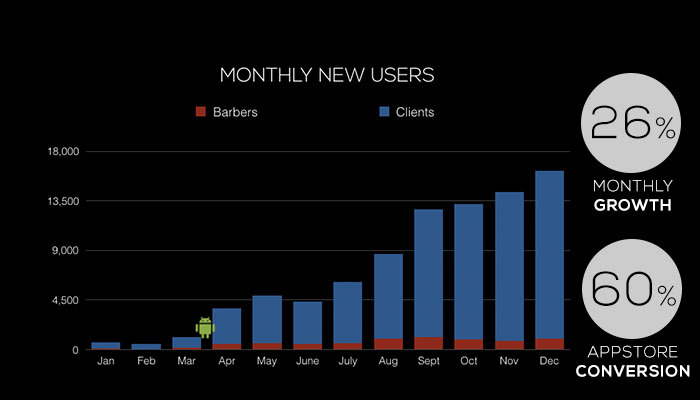 Every month, barbers can lose 8-10 hours of productivity scheduling appointments via calls and texts. Over-bookings and no-shows also negatively impact a barber's business. Traditional marketing and relationship management has been a manual process for barbers. Software to improve their efficiency has not been widely adopted. theSolution: A mobile platform connecting barbers and clients. theCut is modernizing the barbershop experience. By seamlessly bringing both barbers and clients together, we’ve reduced many of the issues present in the barbershop today. Clients can easily discover new barbers, then book and pay for haircuts at their convenience. Barbers can then manage all those clients, appointments, and payments with one easy to use tool. Barbers create their profile by adding their services, location, and hours of operation. Then, they complete it by uploading pictures of haircuts they’ve done and set up their banking info. Clients are able to search and discover talented and trusted barbers. They can then book, pay, and tip through the app at their convenience. 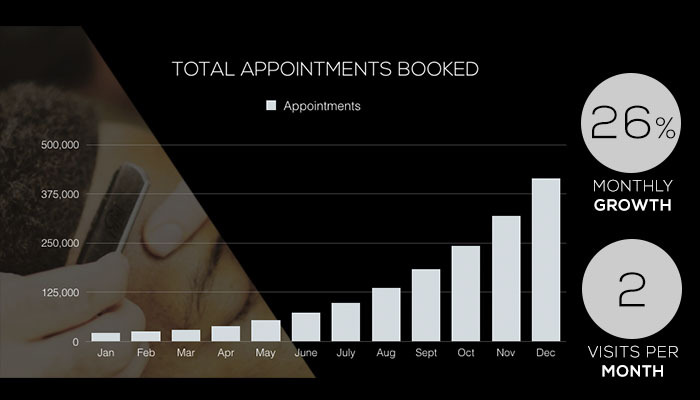 Barbers receive appointments requests and then can manage all their appointments in one place. After completing an appointment, clients can review the barber and shoutout a job well done. 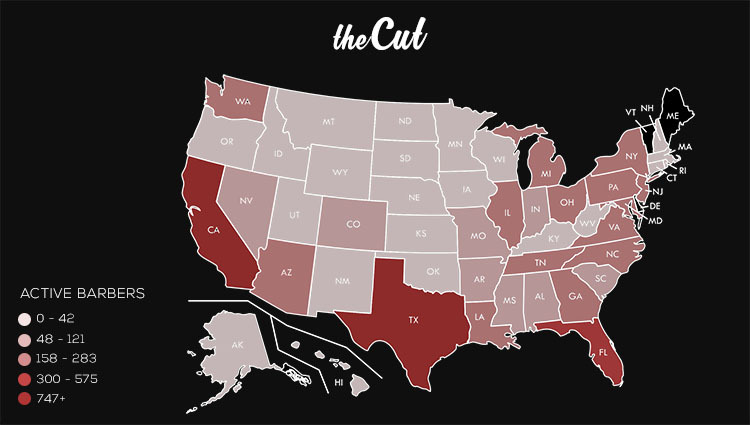 Today, there are more than 9,000 barbers signed up on theCut nationwide. 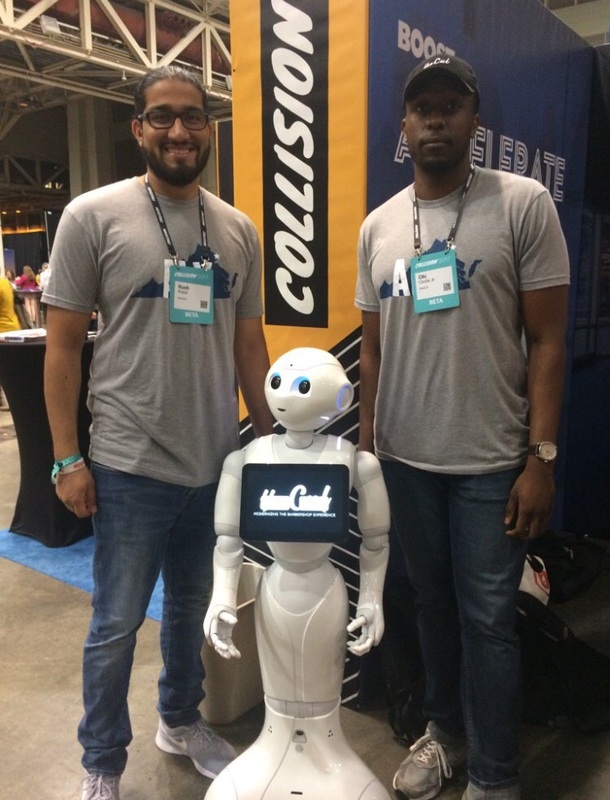 Armed with our savings accounts and Instagram page, we were able to hack together some exciting growth and eventually get a little funding along the way. We’ve worked very closely with our early users and have built a product directly reflecting their input and feedback. The insights we’ve learned will be incredibly useful as we grow and expand over the next couple of years. The release of our android app made a HUGE difference. In the year 2040, the U.S. Census forecasts that people of color will become the majority in the United States. The growth of potential customers is accelerating and showing no signs of slowing down. As the population grows, there is going to be an equal need of quality barbers to keep everyone well groomed. There are over 21 million minorities, including blacks & hispanics, who visit barbershops at least once a month spending $25 on average including tip. Traditionally, barbershops have been community commerce centers, where you could get the latest cd's, movies, and fashion pieces. As our marketplace evolves, we’ll be able to tap into long time barbershop related industries such as sneakers, fashion, and entertainment. Many of our competitors have built quality booking software to power both independent professionals and local businesses. 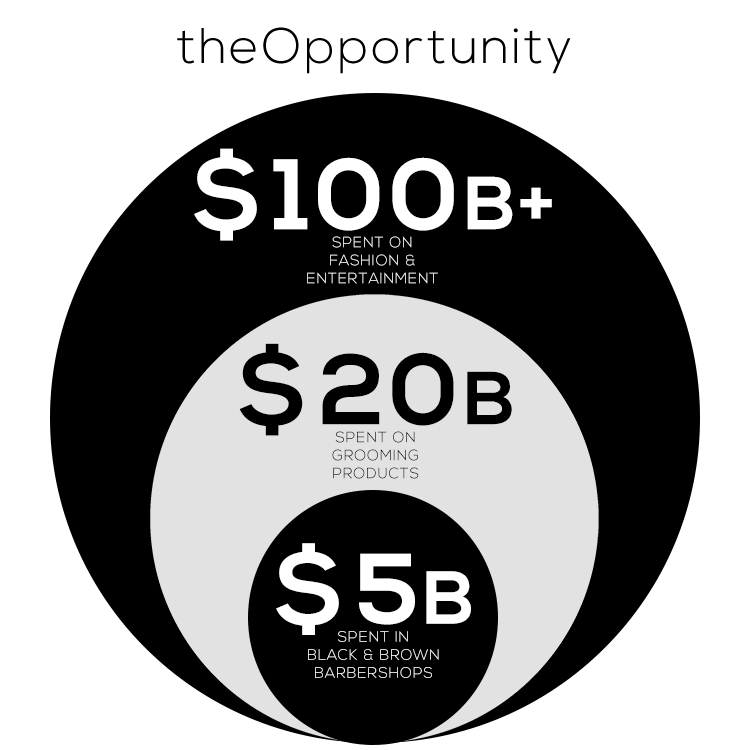 However, at theCut, we’re building a technology company to completely modernize the barbershop experience. We have larger ambitions that extend beyond appointments; we are looking to improve all facets of men’s style and grooming. 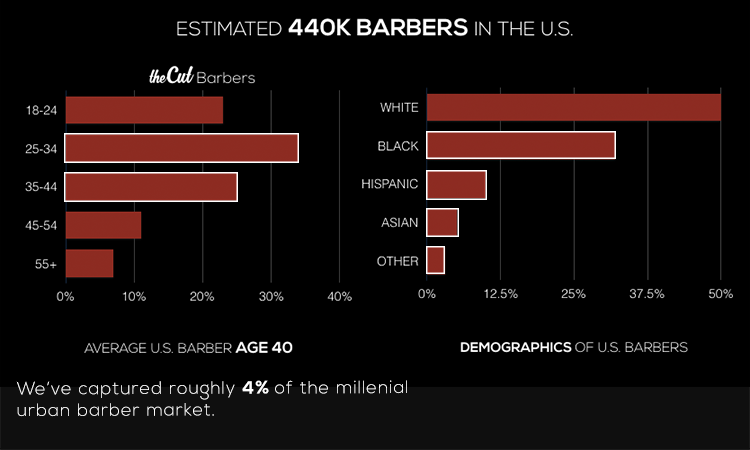 Barbershops are one of the last traditionally cash industries. Cashless consumer trends and the inherent risks of carrying large sums of cash create an opportunity to offer a different business model. Wholesale pricing and increased access for our users will revolutionize how products are sold in the men’s grooming industry by providing direct access to thousands of engaged customers. Recent trends in men’s grooming point to a more conscious and attentive consumer base. Barbershops have been synonymous with fashion and entertainment. As our business evolves, we’ll be able to offer our customers complimentary content, services, and products. Our customers love us! We're converting barbers of all ages and backgrounds. Investing in theCut is investing in yourself. We want to democratize wealth and ownership by giving the opportunity to the very people who have made the community so valuable. With your investment, we'll be able to develop a more robust product and build our brand through marketing and partnerships. The funds raise will help us reach our goals through the end of the year! Investing in this crowdfunding opportunity through Republic allows you to be an angel investor in theCut under the provisions of Title III of the Jumpstart Our Business Startups Act of 2012 (known as the “JOBS Act”) and Regulation Crowdfunding. The financial instrument for your investment is a Crowd Safe. With a Crowd Safe, your investment automatically converts into stock when theCut undergoes a liquidity event - in other words, when we are acquired or have an IPO. The valuation cap specifies the maximum valuation under which your investment will convert into shares. theCut's valuation cap for this round is $4 million. If the company is acquired for less than the valuation cap amount, the discount provision gives you a discount to the valuation. The discount provision for this round is 20%. Obi, a recent JMU grad, was forced to spend his first 2 months at a new job, in a new state, post his haircut expiration for fear of trusting a new and untested barber. Kush Patel, interning in California had no choice but to cut his head bald after a random walk-in experience with the wrong pair of clippers. He then goes on strike and grows his hair out past shoulder length in protest. Friends from high school, with shared experiences we realized there was a huge problem here. It wasn’t that there were no talented barbers near us, what lacked was the convenient ability to find the barber who best met our specific needs. This moment and countless hours spent waiting aimlessly in barbershops is what led to the ah-ha moment behind theCut. We built our first prototype, then launched the beta version the following year and we’ve been grinding away ever since. My team and I all have similar experiences. Similar stories can be told by anyone who’s ever moved to a new city, went off to college, or is left barber-less due to vacations or unexpected emergency. Barbers have tales of their own, reflecting no-shows, late clients, and schedule mismanagement that have led to less than enjoyable experiences. We’re passionate and dedicated to solving a real problem. 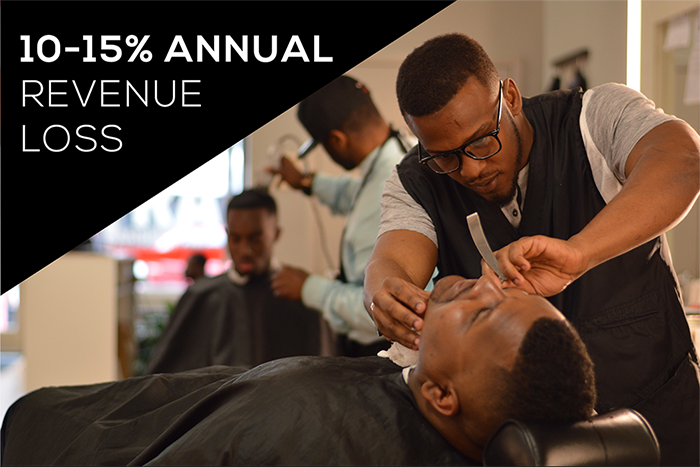 We’re giving clients back their time and empowering barbers to take control of their business. Everyone loves the feeling that comes along with a fresh cut; the confidence, the swag, the fresh look on life symbolized by a clean shapeup. At theCut, we believe that if you look good, you’ll feel better. We want the entire community to rock their best cut and live their best life. We hope that you guys share our vision and help us cut the next generation. The smallest investment amount that theCut is accepting. theCut needs to reach their minimum funding goal before the deadline. If they don’t, all investments will be refunded. If a trigger event for theCut occurs, the discount provision gives investors equity shares (or equal value in cash) at a reduced price. theCut needs to raise $50K before the deadline. The maximum amount theCut is willing to raise is $350K. You'll get your name displayed on our investor thank you page & a sticker to rep the brand. A trained Business Economist from James Madison University, who most recently worked as a software developer for Accenture and Wells Fargo. Obi also has experience interning for a startup and has built and launched an app live on the iOS app store. Graduated from UVA where he majored in Mechanical Engineering with a minor in Computer Science and Engineering Business. 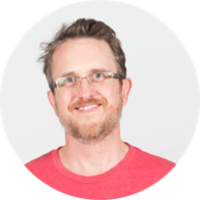 He’s spent time working with multiple startups over the years. Kush has also done time at both Microsoft and Yahoo. Studied Econ at VCU before joining Motley Fool, a financial-services company that provides financial advice. He later managed data at Advance Health, the first company to completely capture health assessments digitally by proprietary applications. Mary co- built Bunker Labs, a DC’s accelerator. 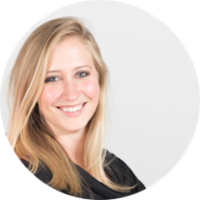 Shes's created proprietary growth hack methods and delivered over 1,000 hrs of business coaching. Has a BA from Holy Cross, HBX grad, and Smart.ly MBA select. Recently named to Forbes 30 under 30. 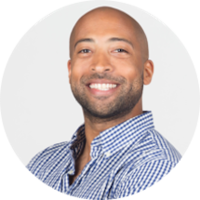 4x founder & NCAA Division I All-American, Harry brings skills & experiences in managing an accelerator, due diligence with NextGen Venture Partners, & exiting an ecommerce startup. He has a BA from Maryland, MA from Georgetown, & an MBA from Babson. A Spirit of Bob Hope Award recipient, Ray has worked with over 500 startups globally, built Cabinet-level innovation programs, was a Harvard Kennedy School Fellow, & served as the innovation bridge leadership between Silicon Valley and the military. 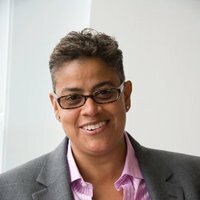 Melissa is a Georgetown professor who is Director of Project 500, appointed the Entrepreneur in Residence for D.C., Senior Fellow at the Brookings Institution & is Co-Chair of the National Advisory Council on Innovation and Entrepreneurship. 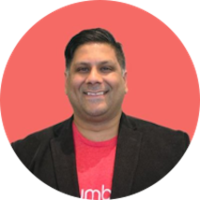 A 4x founder, Ajit founded humble ventures to address the gaps between enterprises and startups. A seasoned executive who manages at partnerships, digital transformation & innovation. He holds a BA from Georgetown and an MBA from Babson College. 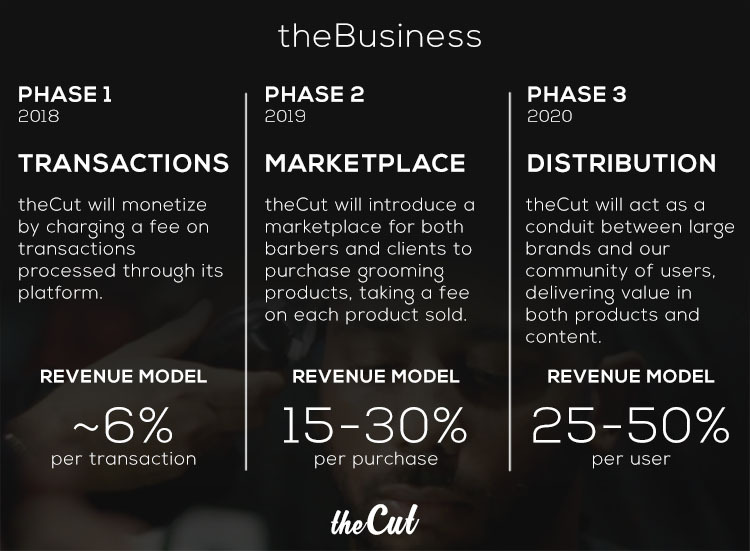 theCut is a mobile platform connecting barbers and clients. We provide clients with the convenience of 24/7 booking and mobile payments, while providing barbers a business tool to optimize their schedule. How is theCut different from other booking apps? Even though there are other apps proving a similar service, there isn’t a platform built mobile-first and specifically for barbers. Our ambitions span beyond simply appointment booking, we plan to touch all facets of the mens grooming industry. By targeting barbers, we’re building a brand they can identify with that brings them more clientele. Our technology is also more intuitive and more effective in managing their business. Are there plans for theCut to expand to salons? We know that the platform we’ve built can also be used by salons and female stylists. Today, we have stylists using the app to manage their business. However, we want to dominate the mens grooming space in its entirety. By building a platform specifically targeting barbershops, we’re able to drive new clients specifically looking for barbers vs other stylists. In terms of female grooming there are nuances and behavioral trends that would lend itself to a more robust platform taking away from the simplicity that we offer. Does a barber have to be licensed to use theCut? We’re building a platform to assist all barbers in their day to day activities. We don’t require barbers to be licensed to use the platform. Many student barbers use our platform to start their businesses. How are payment and personal information handle or stored on theCut? theCut currently uses Braintree Payments to manage our payments processing. As barbers and clients provide us with their payment information Braintree securely stores that information on their end so we don’t maintain any sensitive personal data on our systems. The email addresses and phone numbers we collect will be protected by us at theCut and not shared without your permission. Does a client need to download the app to use theCut? All clients need to download either our iOS or Android app. 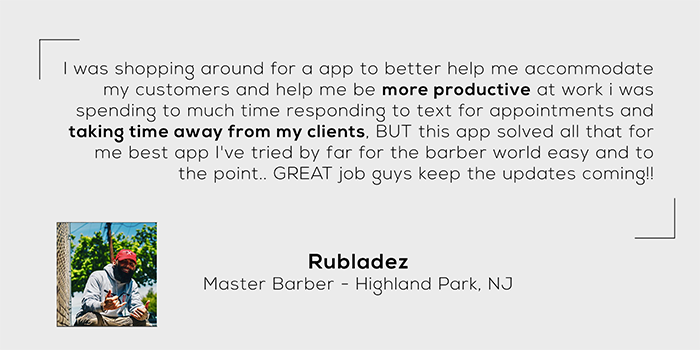 With the app, clients have the ability to pay, tip, and message their barber all within the app. Clients can also save photos for references or ideas. Is theCut available in my state? theCut is available nationwide and in all U.S. territories. 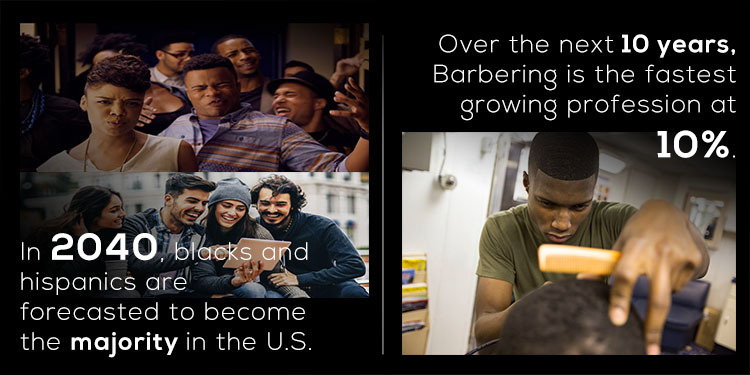 We have more than 9,000 barbers signed up in 48 of the 50 states. Although we’re available nationwide, we may not have a barber in your area. If not, tell your local barber to join the movement and help us build a great community of barbers. How does theCut acquire new users? Our early marketing strategy has focused primarily on social media, industry trade-shows & expos and word-of-mouth. With additional funding, we will invest in content marketing development as well as paid advertising on additional marketing channels. Today, theCut makes money when a client pays their barber through the app. We charge the client a small convenience fee and the barber a typical processing fee. 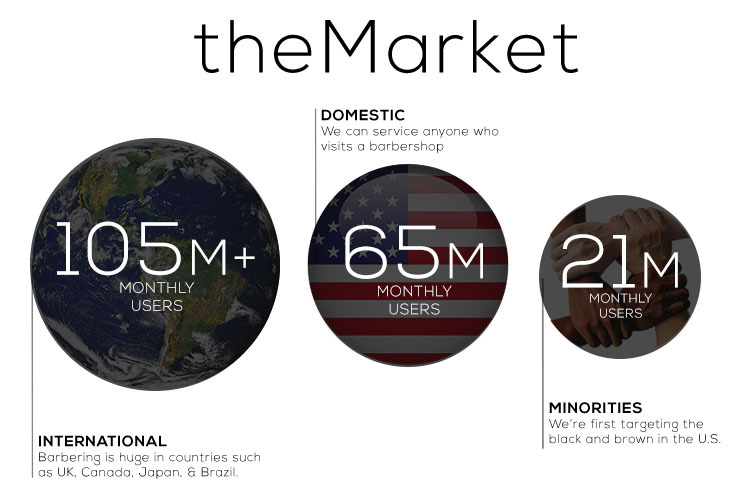 The introduction of our marketplace will be our next key revenue driver. As we roll out additional products and services, we’ll have additional revenue channels. How will theCut use the funds raised in the campaign? Approximately 50% of funds raised will go towards paid marketing campaigns and funding our trips to barber battles and expos around the nation. 30% will go towards product development focusing on our most requested features, and the remaining 20% is spent on general business development activities. Does theCut already have investors? Yes we do! We raised funds from local angel investors in our network and people who really believe in our mission. What are theCut's acquisition prospects? Potentials acquirers for theCut come from two different industries. As we build out our marketplace and grow a community of users we become attractive to large Consumer Package Goods companies in our industry such as Proctor & Gamble and Unilever. As we increase the transaction and scheduling volume processed through theCut we become targets to companies offering payments and scheduling services like Square, Mindbody, & Google. We seek to maintain, extend, and expand our brand image through marketing investments, including advertising, consumer promotions, and product innovation. Increasing attention on marketing could adversely affect our brand image. It could also lead to stricter regulations and greater scrutiny of marketing practices. Existing or increased legal or regulatory restrictions on our advertising, consumer promotions and marketing, or our response to those restrictions, could limit our efforts to maintain, extend and expand our brands. Moreover, adverse publicity about regulatory or legal action against us could damage our reputation and brand image, undermine our customers confidence and reduce long-term demand for our products, even if the regulatory or legal action is unfounded or not material to our operations. In addition, our success in maintaining, extending, and expanding our brand image depends on our ability to adapt to a rapidly changing media environment. We increasingly rely on social media and online dissemination of advertising campaigns. The growing use of social and digital media increases the speed and extent that information or misinformation and opinions can be shared. Negative posts or comments about us, our brands or our products on social or digital media, whether or not valid, could seriously damage our brands and reputation. If we do not establish, maintain, extend and expand our brand image, then our product sales, financial condition and results of operations could be adversely affected. The Company is dependent on Obi Omile Jr and Kush Patel in order to conduct its operations and execute its business plan, however, the Company has not purchased any insurance policies with respect to those individuals in the event of their death or disability. Therefore, if any of Obi Omile Jr and Kush Patel die or become disabled, the Company will not receive any compensation to assist with such persons absence. The loss of such person could negatively affect the Company and its operations. The collection, processing, storage, use and disclosure of personal data could give rise to liabilities as a result of governmental regulation, conflicting legal requirements or differing views of personal privacy rights. We receive, collect, process, transmit, store and use a large volume of personally identifiable information and other sensitive data from customers and potential customers. There are federal, state and foreign laws regarding privacy, recording telephone calls and the storing, sharing, use, disclosure and protection of personally identifiable information and sensitive data. Specifically, personally identifiable information is increasingly subject to legislation and regulations to protect the privacy of personal information that is collected, processed and transmitted. Any violations of these laws and regulations may require us to change our business practices or operational structure, address legal claims and sustain monetary penalties and/or other harms to our business. The regulatory framework for privacy issues in the United States and internationally is constantly evolving and is likely to remain uncertain for the foreseeable future. The interpretation and application of such laws is often uncertain, and such laws may be interpreted and applied in a manner inconsistent with our current policies and practices or require changes to the features of our platform. If either we or our third-party service providers are unable to address any privacy concerns, even if unfounded, or to comply with applicable laws and regulations, it could result in additional costs, liability, damage to our reputation, and harm to our business. The development and commercialization of our current product are highly competitive. We face competition with respect to todays market offering, however, we will seek to develop or commercialize new products in the future. Our competitors include some global companies. Many of our competitors have significantly greater financial, technical and human resources than we have, but lack expertise in marketing approved software products to this specific market. Yet, they may be better equipped than us to develop and commercialize a mobile software schedule app. These competitors also compete with us in recruiting and retaining qualified personnel and acquiring technologies. Smaller or early-stage companies may also prove to be significant competitors, particularly through collaborative arrangements with large and established companies. Accordingly, our competitors may commercialize products more rapidly or effectively than we are able to. This could adversely affect our competitive position, initial market acceptance of our mobile platform, and our ability to generate revenue from our products. Consumer preferences for our products change continually. Our success depends on our ability to predict, identify, and interpret the tastes and habits of consumers and to offer products that appeal to consumer preferences. If we do not offer products that appeal to consumers, our sales and market share will decrease. We must distinguish between short-term fads, mid-term trends, and long-term changes in consumer preferences. If we do not accurately predict which shifts in consumer preferences will be long-term, or if we fail to introduce new and improved products to satisfy those preferences, our sales could decline. If we fail to expand our product offerings successfully across product categories, or if we do not rapidly develop products in faster growing and more profitable categories, demand for our products could decrease, which could materially and adversely affect our product sales, financial condition, and results of operations. In addition, achieving growth depends on our successful development, introduction, and marketing of innovative new products and line extensions. Successful innovation depends on our ability to correctly anticipate customer and consumer acceptance, to obtain, protect and maintain necessary intellectual property rights, and to avoid infringing the intellectual property rights of others and failure to do so could compromise our competitive position and adversely impact our business. There are substantial risks and uncertainties associated with these efforts, particularly in instances where the markets are not fully developed. In developing and marketing new lines of business, products, or services we may invest significant time and resources. Initial timetables for the introduction and development of new lines of business, products, or services may not be achieved and price and profitability targets may not prove feasible. We may not be successful in introducing new products and services in response to industry trends or developments in technology, or those new products may not achieve market acceptance. As a result, we could lose business, be forced to price products and services on less advantageous terms to retain or attract clients, or be subject to cost increases. As a result, our business, financial condition, and results of operations may be adversely affected. Reputational risk, or the risk to our business from negative public opinion, is inherent in our business. Negative public opinion can result from our actual or alleged conduct in any number of activities. Negative public opinion can also result from media coverage, whether accurate or not. Negative public opinion can adversely affect our ability to attract and retain customers and employees and can expose us to litigation and regulatory action. Our epay and money transfer businesses may be susceptible to fraud and/or credit risks occurring at the retailer and/or consumer level, which could adversely affect our business. We contract with retailers that accept payment on our behalf, which we then transfer to a trust or other operating account for payment to content providers. In the event a retailer does not transfer to us payments that it receives for prepaid content sales, whether as a result of fraud, insolvency, billing delays or otherwise, we are responsible to the content provider for the cost of the product sold. We can provide no assurance that retailer fraud or insolvency will not increase in the future or that any proceeds we receive under our credit enhancement insurance policies will be adequate to cover losses resulting from retailer fraud, which could have a material adverse effect on our business, financial condition and results of operations. Our customers require our products to perform at a high level, contain valuable features and be extremely reliable. The design of our server solutions is sophisticated and complex, and the process for manufacturing, assembling and testing our server solutions is challenging. Occasionally, our design or manufacturing processes may fail to deliver products of the quality that our customers require. For example, a vendor may provide us with a defective component that failed under certain heavy use applications. As a result, our product would need to be repaired. The vendor may agree to pay for the costs of the repairs, but we may incur costs in connection with the recall and diverted resources from other projects. New flaws or limitations in our products may be detected in the future. Part of our strategy is to bring new products to market quickly, and first-generation products may have a higher likelihood of containing undetected flaws. If our customers discover defects or other performance problems with our products, our customers businesses, and our reputation, may be damaged. Customers may elect to delay or withhold payment for defective or underperforming products, request remedial action, terminate contracts for untimely delivery, or elect not to order additional products. If we do not properly address customer concerns about our products, our reputation and relationships with our customers may be harmed. In addition, we may be subject to product liability claims for a defective product. Any of the foregoing could have an adverse effect on our business and results of operations. We may face competition from other companies that offer smart card technology, other innovative payment technologies and payment processing, which could result in loss of our existing business and adversely impact our ability to successfully market additional products and services. Our primary competitors in the payment processing market include other independent processors, as well as financial institutions, independent sales organizations, and, potentially card networks. Many of our competitors are companies who are larger than we are and have greater financial and operational resources than we have. These factors may allow them to offer better pricing terms or incentives to customers, which could result in a loss of our potential or current customers or could force us to lower our prices as well. Either of these actions could have a significant effect on our revenues and earnings. In addition to competition that our system faces from the use of cash, checks, credit and debit cards, existing payment systems and the providers of financial services and low-cost bank accounts, there are a number of other products that use smart card technology in connection with a funds transfer system. During the past several years, smart card technology has become increasingly prevalent. We believe that the most competitive product in this marketplace is EMV, a system that is promoted by most of the major card companies such as Visa, MasterCard, JCB and American Express. Also, governments and financial institutions are, to an increasing extent, implementing general-purpose reloadable prepaid cards as a low-cost alternative to provide financial services to the unbanked population. Moreover, while we see the acceptance over time of using a mobile phone to facilitate financial services as an opportunity, there is a risk that other companies will be able to introduce such services to the marketplace successfully and that customers may prefer those services to ours, based on technology, price or other factors. Some of our competitors have made or may make acquisitions or may enter into partnerships or other strategic relationships to offer more comprehensive services than they individually had offered or to achieve greater economies of scale. In addition, new entrants not currently considered to be competitors may enter our market through acquisitions, partnerships or strategic relationships. We expect these trends to continue as companies attempt to strengthen or maintain their market positions. The potential entrants may have competitive advantages over us, such as greater name recognition, longer operating histories, more varied services and larger marketing budgets, as well as greater financial, technical and other resources. The companies resulting from combinations or that expand or vertically integrate their business to include the market that we address may create more compelling service offerings and may offer greater pricing flexibility than we can or may engage in business practices that make it more difficult for us to compete effectively, including on the basis of price, sales and marketing programs, technology or service functionality. These pressures could result in a substantial loss of our customers or a reduction in our revenue. Our industry is characterized by rapid and significant technological developments, frequent new product introductions and enhancements, continually evolving business expectations and swift changes. To compete effectively in such markets, we must continually improve and enhance our products and services and develop new technologies and services that incorporate technological advances, satisfy increasing customer expectations and compete effectively on the basis of performance and price. Our success will also depend substantially upon our ability to anticipate, and to adapt our products and services to our collaborative partners preferences. There can be no assurance that technological developments will not render some of our products and services obsolete, or that we will be able to respond with improved or new products, services, and technology that satisfy evolving customers expectations. Failure to acquire, develop or introduce new products, services, and enhancements in a timely manner could have an adverse effect on our business and results of operations. Also, to the extent one or more of our competitors introduces products and services that better address a customers needs, our business would be adversely affected. Our regulatory compliance programs and other enterprise risk management efforts cannot eliminate all systemic risk. We have devoted significant time and energy to develop our enterprise risk management program, including substantially expanded regulatory compliance policies and procedures. We expect to continue to do so in the future. The goal of enterprise risk management is not to eliminate all risk, but rather to identify, assess and rank risk. The goal of regulatory compliance policies is to have formal written procedures in place that are intended to reduce the risk of inadvertent regulatory violations. Nonetheless, our efforts to identify, monitor and manage risks may not be fully effective. Many of our methods of managing risk and exposures depend upon the implementation of federal and state regulations and other policies or procedures affecting our customers or employees. Management of operational, legal and regulatory risks requires, among other things, policies and procedures, and these policies and procedures may not be fully effective in managing these risks. While many of the risks that we monitor and manage are described in this Risk Factors section of this Memorandum, our business operations could also be affected by additional factors that are not presently described in this section or known to us or that we currently consider immaterial to our operations. If our payment processors and disbursement partners experience an interruption in service, our business and revenue would be harmed. Our payment processors and disbursement partners have experienced service outages or an inability to connect with our processing systems and this may reoccur in the future. If a payment processor experiences a service outage or service interruption that results in our being unable to collect funds from customers, our liquidity could be harmed. We do not directly access the ACH system or payment card networks such as Visa and MasterCard, which systems enable our acceptance of bank account-funded transactions, credit cards and debit cards. As a result, we rely on banks and other payment processors and disbursement partners to process transactions. In the event of service outages in the payment card or ACH networks, or if our payment processors or disbursement partners were unable to access the payment card or ACH networks, our business would be harmed. We rely on customer service associates, and our success depends to a significant extent on our ability to attract, hire, train and retain qualified customer service associates. Companies in our industry, including us, experience high employee attrition. A significant increase in the attrition rate among our customer service associates could decrease our operating efficiency and productivity. Our failure to attract, train and retain customer service associates with the qualifications necessary to fulfill the needs of our existing and future clients would seriously harm our business and results of operations. Our ability to sell our products and services is dependent on the quality of our technical support services, and our failure to offer high quality technical support services would have a material adverse effect on our sales and results of operations. Once our products are deployed within our end-customers operations, end-customers depend on our technical support services to resolve any issues relating to these products. If we do not effectively assist our customers in deploying these products, succeed in helping our customers quickly resolve post-deployment issues, and provide effective ongoing support, our ability to sell additional products and services to existing customers would be adversely affected and our reputation with potential customers could be damaged. As a result, our failure to maintain high quality support services would have an adverse effect on our business and results of operations. The Companys success depends on the experience and skill of the board of managers, its executive officers and key employees. In particular, the Company is dependent on Obi Omile Jr and Kush Patel who are CEO and CTO of the Company, respectively. The Company has or intends to enter into employment agreements with Obi Omile Jr and Kush Patel although there can be no assurance that it will do so or that they will continue to be employed by the Company for a particular period of time. The loss of Obi Omile Jr and Kush Patel or any member of the board of managers or executive officer could harm the Companys business, financial condition, cash flow and results of operations. Prior to the Offering the Companys current owners of 20% or more beneficially own up to 91.2% of the Company. Subject to any fiduciary duties owed to our other owners or investors under Virginia law, these owners may be able to exercise significant influence over matters requiring owner approval, including the election of managers and approval of significant Company transactions, and will have significant control over the Companys management and policies. Some of these persons may have interests that are different from yours. For example, these owners may support proposals and actions with which you may disagree. The concentration of ownership could delay or prevent a change in control of the Company or otherwise discourage a potential acquirer from attempting to obtain control of the Company, which in turn could reduce the price potential investors are willing to pay for the Company. In addition, these owners could use their voting influence to maintain the Companys existing management, delay or prevent changes in control of the Company, or support or reject other management and board proposals that are subject to owner approval. Purchasers will not have the right to vote upon matters of the Company even if and when their Securities are converted into CF Shadow Securities. Upon such conversion, CF Shadow Securities will have no voting rights and even in circumstances where a statutory right to vote is provided by state law, the CF Shadow Security holders are required to vote with the majority of the security holders in the new round of equity financing upon which the Securities were converted. For example, if the Securities are converted upon a round offering Series B Preferred Shares, the Series B-CF Shadow Security holders will be required to vote the same way as a majority of the Series B Preferred Shareholders vote. Thus, Purchasers will never be able to freely vote upon any manager or other matters of the Company. I believe in the app, and like the humble beginnings. Plus we use the same business name. theCut offers a needed service, great team, talented and focused. Common friction point, good growth and market opportunity. I want to see my mates succeed and turn their dreams into a reality. Obi and team are deeply committed to serving a historically overlooked and underserved market segment. They have demonstrated market traction and have an unique product/service offering. theCut team is the truth! These guys know their market and are passionate about delivering a quality experience to barbers and their clients. They've taken major strides in the past 2 years, and I'm confident they'll continue to exceed expectations! I invested because these gentlemen are hard working and passionate. I believe in their dreams and I want to see them succeed! I can’t wait to see their success continue! They’ve go the skills and the drive. 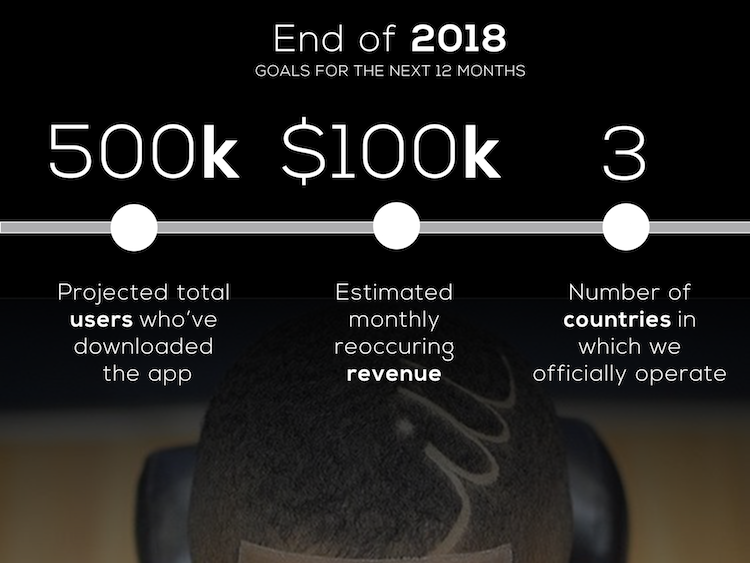 I’m a barber, and this is a very helpful app..
the platform makes sense, team has obviously hustled to make traction happen, and users seem happy. It provides a platform on which the barbers can come together and meet their clientele, while also being able to plan ahead with their appointments. I really like the idea, and I think this has the opportunity for cross border expansion. I use this app for my business and its a great app. The idea seems good and as was already mentioned, there seems to be traction and real commitment from the founders. The market is dying for this!! I've thought about this idea for years and how much it would benefit both barbers and clients. THANK YOU FOR MAKING IT (finally) HAPPEN. This is huge! It is an amazing app perfect for my career and craft and for the whole barber community. I invested because I can see this making a difference not only in the African American community but in communities nation wide helping people with time management and using that time elsewhere. Expect to reach your goal. Good deal terms. Fair valuation and team with low risk of ruin. I think it’s a huge future market. Every service is getting easier by apps from AirBnB to Uber so why people are still waiting to cut their hair. I am a barber who has been using this app for a while now. I love it, my clients love it, and it's a company that I know a little bit about so I feel more comfortable investing in this. Because I use this app everyday and it has been so instrumental in growing my personal business. I invested in theCut because I feel there is a need for this problem to be solved. There are competitors in the space and I'm hoping my involvement in the company, can help establish theCut as the clear leader! I'm a local Barber in Hamilton, ON Canada who wants to grow my business. I see a great lot of value In this business. Also I believe this app is a huge game changer. So I'm in and help. I invested because I'd like to see this app successfully enter the market. Plus i'd like to make sure all great barbers can continually get clients. I followed my dream to become a hair designer. Anything to help our community grow, count me in! I have used the app and it was easy. My barber loved it and I did as well. A great way to book appointment! I actually had this idea myself 5 years ago! But still to actually see this become a reality... the Cut is about to revolutionize the barber game! So convenient for both the Stylist & Client. I invested because I believe in the app and the possibilities. It has changed the way the barber business operates. It's a win for barber and client alike. Because I love the app and believe that it’s great. I use it daily. I use theCut and I believe it helps. 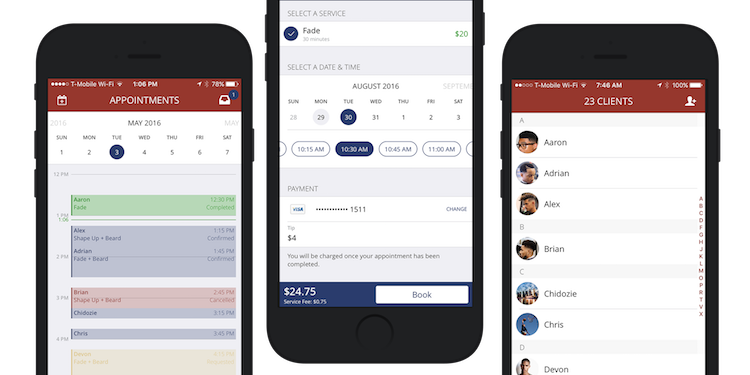 Being a continuous customer in a barbershop this app helps me schedule appointments without waiting when i get to the barbershop. So i am investing because i have had first hand experience with the app. I support my barber & his vision. I use the app all the time to book my cuts. I absolutely love it and is extremely user friendly. I truly believe in its' future potential and love the story behind it. 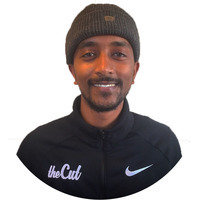 I invested in the the Cut app because I’ve seen the growth from the company for myself I believe in the Cut and also the app help with the growth of my business!!! I invested because I wish to support minority business, also because I am a business owner of my own. Because the app is reshaping, modernising the way the haircut industry works. I believe in this fast paced world investing in app like this is a no brainer. Large market opportunity and solving major need! I’ve been using the app and it’s very convenient and efficient. It’s a must use for barbers and clients. This app is the future! I invested because I love theCut app. I use the app and its amazing!! I invested in theCut app because I believe in the individuals behind this amazing app and the community they’re creating. I have no doubts they will succeed in their endeavors. I themink the developers for the cut app are in the right track, me being a babe we I know what it’s like to have an over crowding situation. I want to see this company grow and become the best mobile booking service application on the market. I invested because I use the service. Also I had the same idea years ago but just did not execute it as well as you guys! I believe this is a smart and safe investment in a industry high on demand. Great app! Helps me book appointments with ease. I remember the days of sitting in the Barbershop ALL DAY, being out of town and not knowing where to find a good Barber, and always having to carry cash to do business. It seems like theCut is the answer to a lot of prayers (Barbers and Clients). I invested because I believe in what the founder is doing. This is an industry that has been largely cash and first-come, first-serve basis. Bringing a level of organization to the chaos will help barbers to serve customers better. I’m in the beauty industry and I believe this will be huge! I invested because an app like this was needed for the barbering industry. As time pass and the app is proven to be successful, I can see this moving into other platforms. Team, work hard and lets make some money!! I believe this company is heading the right direction and as a customer perspective it is very convenient. The cut is revolutionizing the barbershop experience. By cutting out the middle man, the cut has made going to the barbershop a convenient experience as opposed to a daunting task. I believe 100% in the system! I feel like the cut app has the potential to take the baber client world to great lengths! It definitely makes things a lot easier for the client to get what they need. They have my full support and that’s why I invested! I love the app and believe in it growing! I invested in "the cut" because i believe this app is well needed. Not only it help set your schedule but also makes you and your business looks more professional. I believe in the business of this app. Also to the future of barbering appointments. I use the app and think it is a genius idea. Very well made. Simply because I use this app on a daily basis along with my clients. It’s user friendly and win-win for everyone involved. Tired of being afraid of risk. And this app has potential. Surprised this wasn't't created years ago. I have faith in this company and to secure my future. Smart product and it works! I invested because technology is slowly gaining possibly every activity possible and having the opportunity to invest in a app that I use and know that it’s worth it is a steal. This app has potential to be one of the best apps in the industry. Because I think my barber could benefit from using the platform. I vested because see and understands the movement in the barbering world . This app has changed my life. 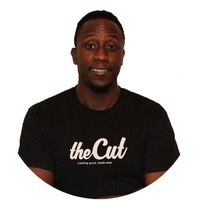 I invested because I think “TheCut” is a great tool for barbers, it’s very well designed and platformed. Very easy to use and gives a sense of professionalism. I would love to see it grow bigger and better! I have watched this startup grow from its early beginning to what it is is now, and I am more than impressed with its establishment and presence in the tech world. I am a 100% believer in the company. Because I work in this industry and I believe in the product. Because I want to be apart of this company and I believe it will be the number one app for our field. I want to invest my money, to better help my goals. This app has great potential. Because it’s a new growing market. I believe in keeping a professional schedule, and appreciate these brothers coming up with this great app. My investment amount is for the two new customers that I’ve gotten since using TheCutApp. I believe it’s a great approach to modernize the barber experience! A chance to make a couple dollars! Interesting concept. So easy to use. No more telephone calls. I use the app for my haircuts and my son's haircuts already. It's easy and convenient, so why not invest in a product that I'm already happy with? I use the app and believe it will be the wave of the future. I feel supporting entrepreneurs, like barbers is close to all communities regardless of race and culture and to invest in that type of thing is everlasting. This is how empires are made, backing a good and functional idea with boss-minded people. I believe the app is going to work! It’s a convenience to fresh cuts. I see a upside to this company. The concept is great and saves me alot of time with my busy schedule. I want to help make this happen. It's hard to find founders with a real passion for their work, these guys believe in their product and the problem they are trying to solve. This is a great way to keep the connection between the barber and the clients organized. I honestly see this app being the future for all barbershops. Because this was something I was thinking about for a while, a friend and I was even thinking about a app like this. We are in the military and I can tell you there's a big market there if you can tap into it. We are always looking for barbers. The company is a great innovative idea revolved around an market that will be around for years. I believe this is a great app as that it can help a lot of people. It helped me out a lot. I believe in the potential growth of this app! I invested because my brother is a barber and I believe in him. This app allows his business to grow and Portuguese his clientele with excellent service. I want support black businesses. Because it’s convenient, it’s a better delivery system then the standard way of bookings and it integrate into the tech we use to make life simpler and more Efficient! I see the potential for this to be great! Reciprocity .... this app has helped me tremendously , it’s only right ! I know this brand will take off and i wanna be a part of it. I believe this app is going to a high level and i want to be apart of it! I love it, the clients love it. Why not?! I believe in the ability for this team to succeed, and their timing of entry into this market opportunity. I love this app!!! Best ever hands down and I truly believe in this company’s success.! Because I believe that the App is going to be a big success and when people start to use the App there going to love it. I really think this app has great potental. I invested because I think this app can be big. I believe in the company so I wanted to be involved in the growth. I invested because I have a small business and I believe it’s important to invest in ideas and concepts that genuinely look to have potential. Being from the inner city, I understand the importance of having a good barber. Getting the right cut can build an individuals confidence. I believe in this app so much. I use to wait 2-3 hours every time I needed a hair cut. Every since my barber introduced me to the app I am now in and out of the barber shop in less than a hr. I am always looking to increase my income. I believe in the vision. I am investing with The Cut because I believe that it will be beneficial for clients seeking a good Barber that is dedicated to the field and has high hopes for success in the rapidly growing industry. There's a lot of good barber's that deserve the chance to get known that will need this marketing tool. I use the app and find it very useful as I have no time to waste at the barbershop. I invested because I am a barber and I think this is a really good app to have !.. I think it will take the Barber Industry into the next generation. This is a good idea and good prpduct. Kudp on this. I couldn't believe it, Finally, something changing the haircut experience for the better! Great idea, happy to invest, good luck! The app is GREAT! Because it sounds like it might take off. 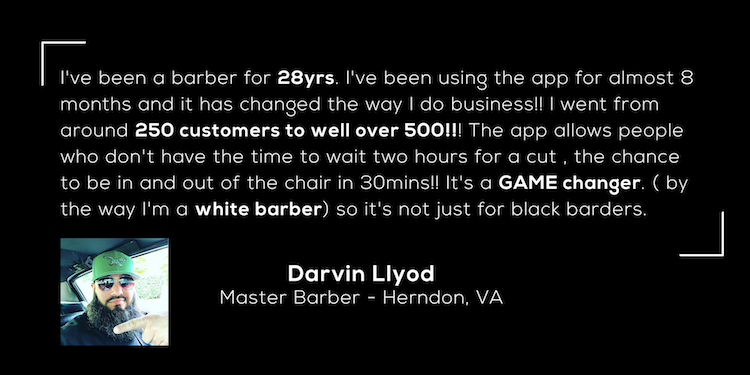 I think this is a great app and will help the barber community dramatically and the customers I love it!!! I went months without getting a haircut when I moved to Minnesota. Why? Because I didn’t trust any barbers there. TheCut will change the game and I want to be apart of this company. I believe the market is powerful especially when black owned. New innovative idea that is changing the babering industry. Love seeing this movement! The app theCut has provided me with superb support and enabled my business to thrive! I foresee theCut becoming the premier app for my profession as a barber. Because I’m a barber and since I’ve used the app it helps out so much! Technology Is Growing Rapidly Everyday & To Not Invest In A company with an idea that's changing the game in the barbershop field would not be the smartest Idea. Plus Everybody Has Moves To Make & This Is Definitely A Time Saver. It just makes sense! The app interface is sound and the use-case is very real. I believe a lot of guys will appreciate knowing what they're about to get into with a new barber by being able to see past hair cuts and being able to avoid wait times! I believe in the brand, the business model, and most importantly the team! I'm friends of the owners, I believe in what they're doing and I know that they'll succeed. Been a barber for 25 years and just want to see something great happen with this industry and possibly make lots of revenue in the future! 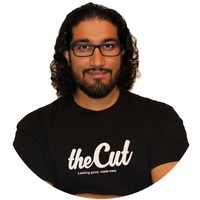 I invested because I understand the value that theCut can bring to customers and barbers.